I am pleased and honored to serve as the 2016 IL AGD Board President. After serving on the Board for several years, I have learned that the presidency is representative of a consensus of opinions, including the capability and knowledge of colleagues that have served before me and continue to contribute their wisdom and guidance. 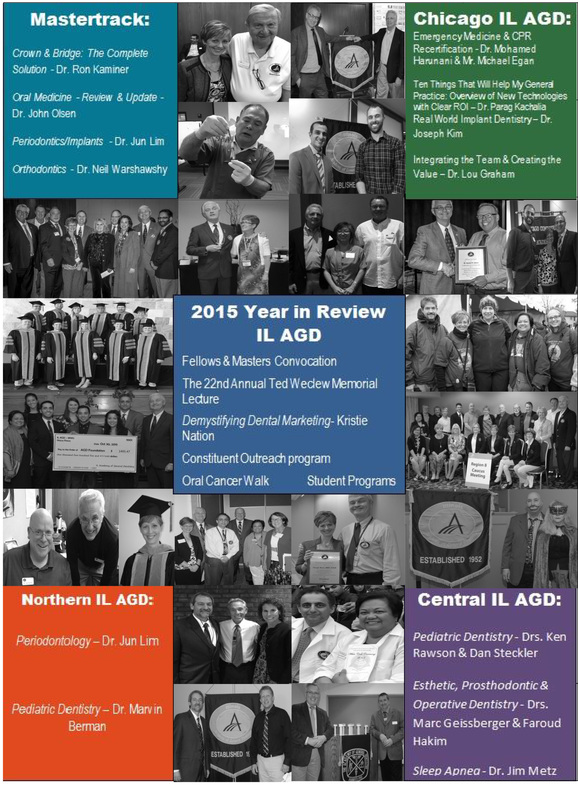 We all bring our specific strengths and skill sets to best represent the Illinois general dentists we serve. I encourage all members to find a way to participate and take advantage of all the AGD has to offer. The agd.org website is a huge and extensive resource that can address many questions the general dentist may have ranging from career choices as a new graduate, to practice management, and of course, continuing education opportunities. 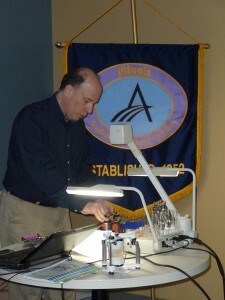 Our ILAGD.org website is your source for all of the local IL AGD CE events and news. 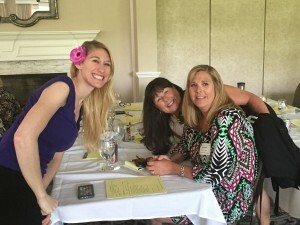 Feel free to contact us with any questions or suggestions for ways we can better represent our membership through our ILAGD.org website or our constituent Illinois AGD website on AGD.org. Join us at our annual meeting in Boston July 14-17, 2016. Thank you for this opportunity to volunteer and serve the IL AGD and I look forward to greeting you at our CE meetings and activities throughout the coming year. 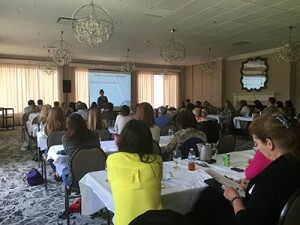 The IL AGD held a member benefit continuing education program on June 3, 2015. 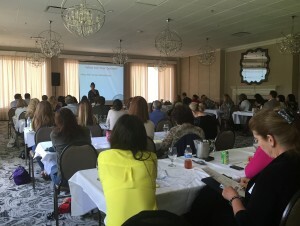 Kristie Nation, founder and CEO of myDental CMO spoke on “Dymystifying Dental Marketing.” A dental practice has a great location, a terrific team and offers exceptional care-so why aren’t patients lined up around the block? 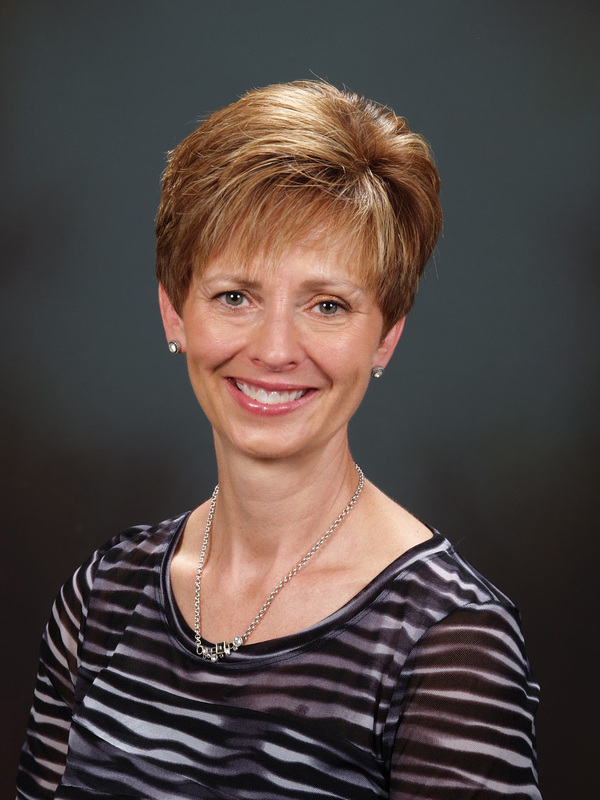 Ms. Nation believes it is because most dental practices are several years behind the curve when it comes to modern marketing. She believes successful dentists know how to harness the power of online and offline tactics to make their practice the obvious answer to “Who is the best dentist for me?” The 50 dentists and staff members who attended spent the day learning how to keep their patients connected to their practices 360+ days a year through effective marketing. 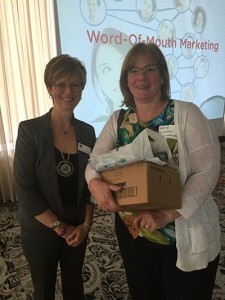 They discovered what the “new word of mouth” is and how to double referrals in 12 months. The doctors and staff learned all of this and more for $35. Attend our next member benefit CE course “Predictable Implant Esthetics with Dr. Paresh Shah at the ADA Auditorium on February 24, 2016. Register online at ILAGD.ORG and visit our website frequently for upcoming CE courses that will give you the knowledge and tools needed to take your practice to the next level. AGD Annual Session was a great time had by all this year! 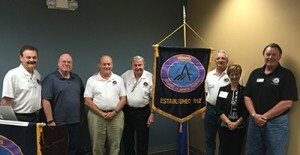 Fellowship, Mastership, LLSR Awardees, Delegates and Alternates, along with other members and their families made the approximate 2,100 mile trip to be sure Region 8 was well represented in San Francisco, California this past June 18th through the 21st. 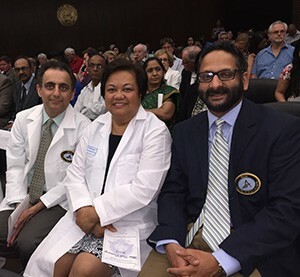 Everyone pitched in as legislation was considered, officers were elected, and the AGD continued to work in advocating for General Dentists across the country. Region 8 is always proud of our awardees, and this year we saw another great group get honored. 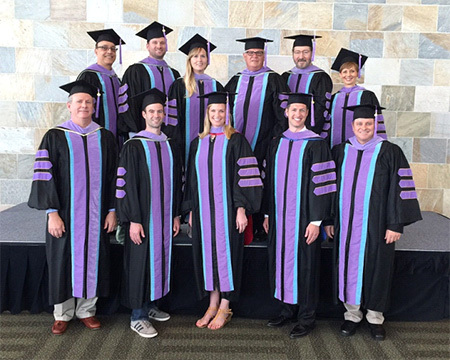 The Illinois 2015 Masters and Fellows along with their friends and families made the trip to participate in this year’s meeting and convocation ceremonies. 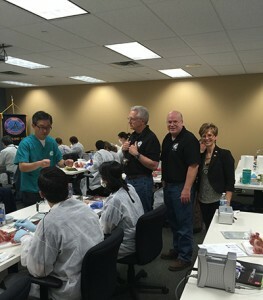 We were also happy to have a group of Dental Students make the trip to be involved! In between advocacy work, caucus meetings, and convocation ceremonies, members found time to tour historical locals such as Fisherman’s Wharf and the Golden Gate Bridge. 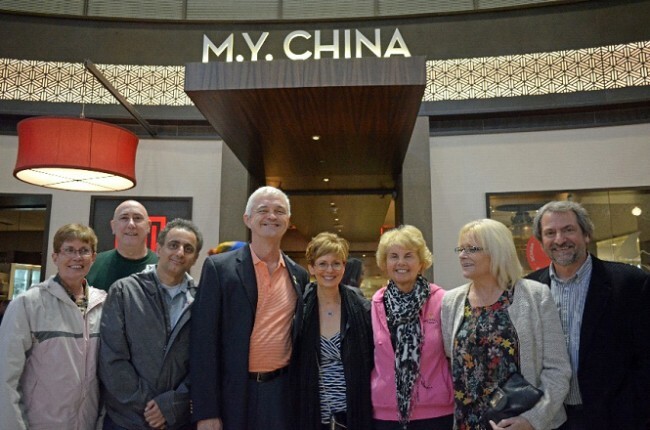 Meeting up for group dinners when possible gave the region’s attendees opportunity to socialize and have fun in between organized meeting events. 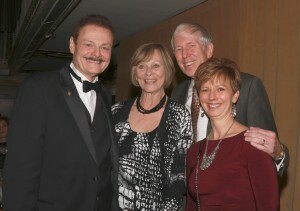 and her husband, Dr. Steve Petras, President-Elect of IL AGD. A special reception for Illinois and Wisconsin Awardees provided Dr. Larry Williams opportunity to thank Deb Noordhoff for her years of service to the Illinois AGD. 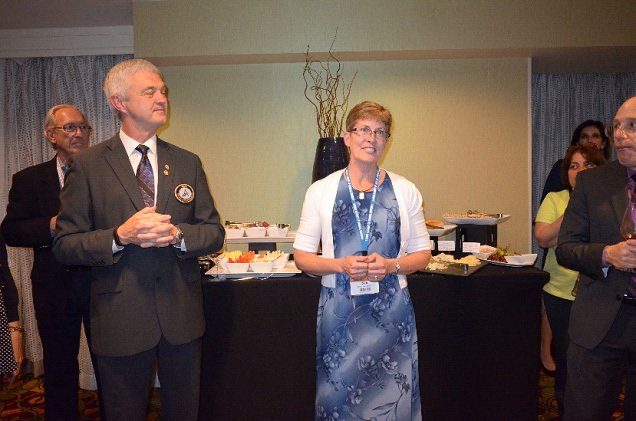 The 2015 Annual meeting proved to be a Golden Opportunity for advocacy and fun for those from Region 8. This past June, I was fortunate enough to have received a scholarship fund from the Chicago Academy of General Dentistry. 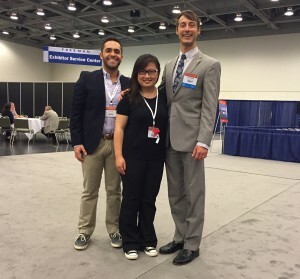 The scholarship provided me with the opportunity to attend the 2015 Academy of General Dentistry Annual Meeting in San Francisco, California. The AGD places a large emphasis on lifelong learning and attending this meeting definitely helped to facilitate that for me, as a student. 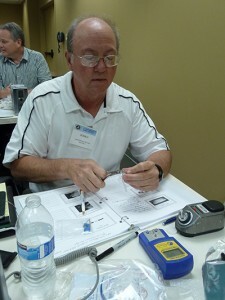 In this regard, we were able to attend Continuing Education courses. 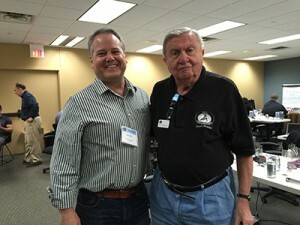 More specifically, I was able to attend Dr. Peter L. Jacobsen’s course on dental therapeutics/modern pharmacology and Dr. Glenn Clark’s course on orofacial pain and oral medicine. 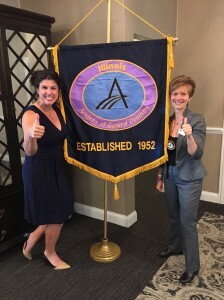 Throughout the Annual Meeting, I was fortunate enough to be able to attend different meetings and witness deliberations that gave me greater understanding as to what the IL AGD and Chicago AGD component strive for. For example, the other dental students and I were invited to sit in for the Region 8 Caucus, which provided great insight to all of the “behind the scenes” work of the AGD. At the close of the meeting, we were able to see some of our familiar Illinois AGD dentists receive their FAGD, MAGD, and LLSR at the Convocation Ceremony. We were also invited to attend the post-ceremony celebration, which was a perfect way to bring the weekend’s events to a close! I would like to sincerely thank the Academy of General Dentistry Illinois Delegation for being so approachable and hospitable! 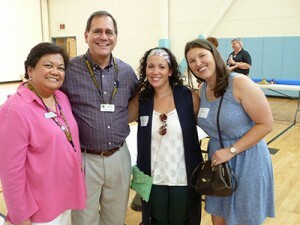 It was truly great to get to know everyone on a personal level. It is truly great to witness so much support for students from current dentists that are involved in organized dentistry! 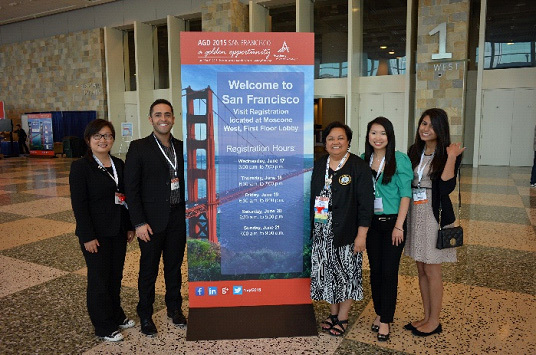 I would like to express my sincere gratitude to the Chicago Academy of General Dentistry for providing a generous scholarship that enabled me to attend the Academy of General Dentistry 2015 Annual Meeting in San Francisco, CA. In my application essay, I stated that I was eager to learn more about the AGD and organized dentistry and demonstrate my commitment to providing my future patients with the best possible dental care through lifelong learning. The AGD 2015 Annual Meeting was a fantastic and memorable experience that exceeded my expectations. 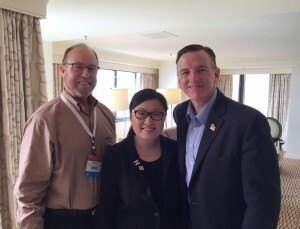 I met dentists of all ages from across the United States with varying degrees of involvement in the AGD. 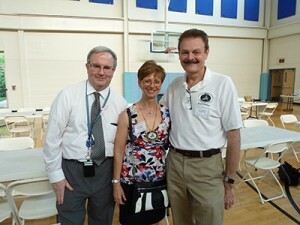 I also learned a lot about the AGD and organized dentistry, especially how it works to unify the dental profession. I really enjoyed the Opening Session and this year’s keynote speaker, Terry Jones. He shared his knowledge on building a culture of innovation within the dental practice and capturing the opportunities found in today’s age of information. I thought Mr. Jones’ message was well delivered and very inspirational. I was also impressed by the innovative ideas he shared and his personal path to success through the utilization of these innovative ideas. 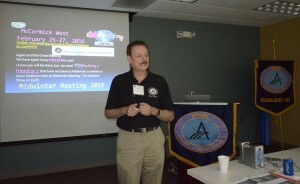 While I was at the AGD 2015 Annual Meeting, I was able to attend some interesting continuing education courses. 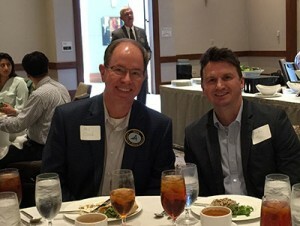 I particularly enjoyed Dr. Todd Engle’s Live Implant Surgical Demonstration – The Magic Circle and Dr. Glenn Clark’s course on orofacial pain and oral medicine. I was also able to attend meetings with the Reference Committee on Administration, Image & Membership, Advocacy & Other Priorities, and Continuing Education. I enjoyed getting a firsthand look at how the AGD operates, as well as how it establishes and modifies rules and regulations. It was nice to see that AGD members had an opportunity to share their opinions in support of or against issues being addressed by each reference committee. At the Regional 8 Caucus, I was able to witness in a more intimate atmosphere how the AGD is governed. During my last day at the AGD 2015 Annual Meeting, I attended the Convocation Ceremony and watched dentists from all over the United States earn their FAGD, MAGD and LLSR. 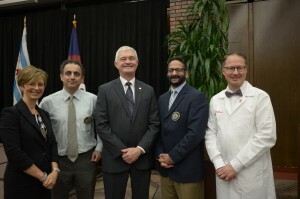 I really enjoyed attending this ceremony and was inspired by the dedication these individuals demonstrated to providing high quality dental care. It motivates me to continue working towards these milestones in dental school and after graduation. Finally, I would like to express my appreciation to the AGD – Illinois Delegation for being so welcoming. My favorite part of the trip was getting to know all of you and learning about your involvement in the AGD and years of practice in Illinois. I really enjoyed hearing stories about your experiences in dental school and as young dentists. I feel that there is a tremendous amount of support in organized dentistry for dental students and young dentists. I’m so excited to be part of this caring and noble profession and I hope to always be involved in organized dentistry. The IL AGD has been very busy with the dental students this past fall and had the privilege of meeting all the new dental students at the state’s three dental schools. 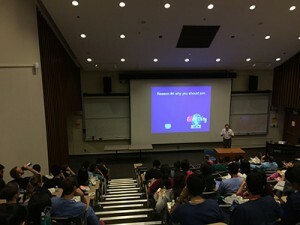 The IL AGD participated in orientation programs at the The University of Illinois at Chicago College of Dental Medicine (UIC COD), Midwestern University College of Dental Medicine-IL (MWU CDM-IL), and Southern Illinois University School of Dental Medicine (SIU SDM). 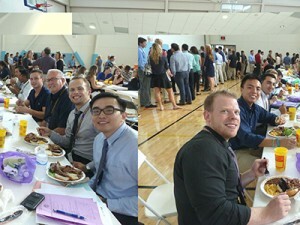 On August 13th, the IL AGD hosted breakfast for the new UIC COD D-1 students during their orientation week. 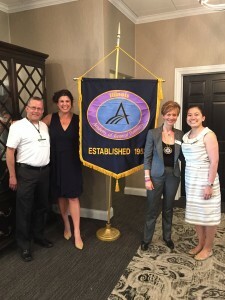 Dr. Larry Williams, Immediate Past President and Dr. Cheryl Mora, Past President discussed the importance of organized dentistry to their future dental careers along with the benefits AGD offers to students to help ease their transition from dental student to practicing dentists. 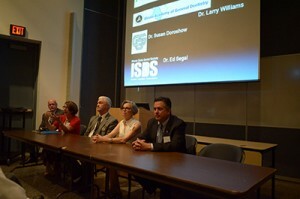 On September 1st, Dr. Williams participated in a panel discussion at MWU CDM-IL on organized dentistry with representatives from the ADA, ISDS, and CDS. 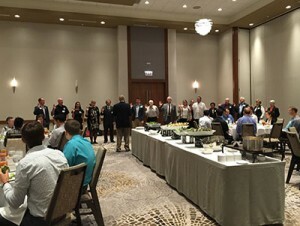 Later that evening, the IL AGD hosted a barbecue dinner for the new D-1 students, faculty and Deans to welcome them to dental school and the AGD. 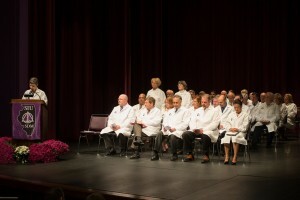 The new students of each dental school were welcomed to the profession at their annual White Coat Ceremonies. 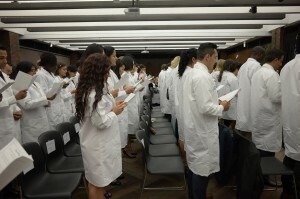 The ceremony symbolizes the entry of the student into the healing profession of dentistry. With the acceptance of the traditional coat of dental professionals, the students commit to uphold their schools’ values. 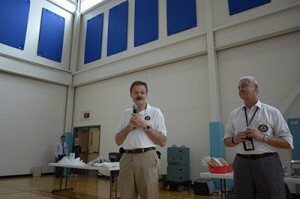 Dr. Larry Williams, Imm. 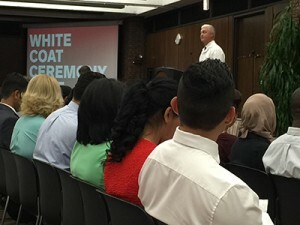 Past President of the IL AGD spoke at the UIC COD White Coat Ceremony on August 21st about organized dentistry and its role in supporting the students during their journey from dental student to dentist. On October 3rd, Drs. 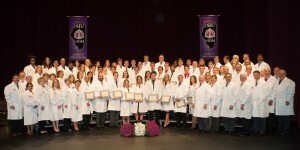 Sue Bishop and Dawn Silfies attended the SIU SDM White Coat Ceremony in Alton, IL. 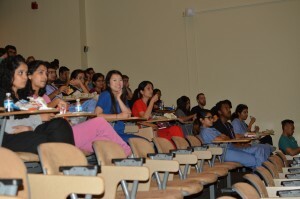 On September 4th, the IL AGD and Chicago Dental Society hosted their first joint Lunch & Learn at UIC COD. 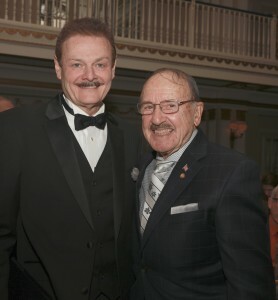 Dr. George Zehak, Past President IL AGD and President of the Chicago Dental Society gave a lively presentation on photography. He demonstrated how to effectively use a smart phone for patient intraoral photos. Dental students can earn up to 50 hours of continuing education that can be applied towards their Fellowship Award when they graduate. 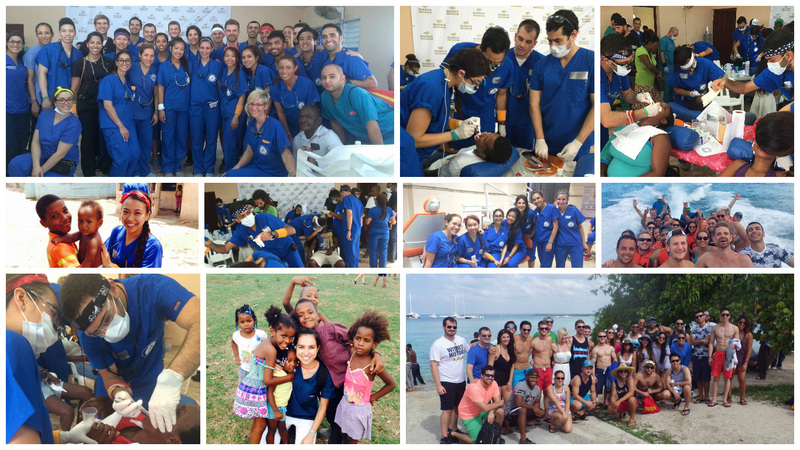 August 29, 2015 – September 5, 2015 marked the Alpha Omicron Chapter of Delta Sigma Delta’s second annual dental relief mission trip to the Dominican Republic! We partnered up once more with Bright Island Outreach (BIO) to provide free dental services to the people of the community of San Pedro de Macorís. Twenty-five DSD dental students from Midwestern University-IL came together along with the dentists and volunteers from BIO to tackle the busy week ahead! Those that were in attendance, which was a mix of D3 and D4 students, were exposed to a very unique working environment – quite different from our set-up back in Downers Grove! We worked in very close quarters, and the Dominican weather provided us with quite a hot and humid setting. Many stations had portable operative systems for restorative procedures, while the rest of the stations were left open for oral surgery and endodontic procedures and prophys. At the conclusion of the week, a total of 487 patients were seen and we accomplished 356 restorations, 298 extractions, 168 prophylaxes, and 6 endodontic procedures! We also had the privilege of working with children from a local orphanage. Many of these children were intensely afraid to undergo any dental procedures at first, and it encouraged us all to exercise patience and empathy and to work closely with the translators that were provided. These children played a significant role in our experience, leaving all of us humbled and fulfilled at the end of the mission. They were so fond of us being there that they would stand around the doors watching and greeting us each day! At the end of every workday, our group made its way to the local baseball field for a little therapy session of laughs and sports. This helped to relieve the exhaustion of our labor and gave us the opportunity to interact with the children as well as other community members. One afternoon, several of our students handed out toys they had brought with them. This caused such an uproar of excitement that many of the children went running home to their parents to show them their new gifts. Without a doubt, these priceless moments humbled us and put smiles on our faces. However, it wasn’t all work! On our first day, we were able to enjoy a pleasant tour of a nearby city’s downtown area and we had great dinner at a local historic restaurant. On our last day, we enjoyed a day trip to the breathtaking Saona Island followed by a final group dinner. What a perfect way to bring our mission trip to a close! Needless to say, the trip was a success and we all came home knowing that we made a difference. Lives were forever touched, lifelong friendships were formed, and memories were created that will last a lifetime. Now we can all look forward to our upcoming graduation in 2016 and our next dental relief mission! We would like to extend our sincere gratitude to both the Illinois Academy of General Dentistry and the Chicago Dental Society for their generous donations of scrubs for all of the students who participated in the DSD Alpha Omicron 2015 dental expedition. 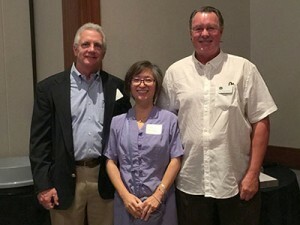 Those particularly instrumental were Dr. Cheryl Mora and Dr. Theresa Lao of the IL AGD, as well as Dr. Ted Borris and Ms. Lennoree Cleary of the CDS. The scrub donations were an important aspect of the trip and truly helped to unite us as a team. We are all very grateful for the support! 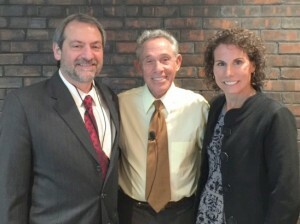 “A Clear Approach to Aligner Therapy What is Best for You and Your Patient by Dr. Neil Warshawsky, commenced our 2015-2016 IL & WI Mastertrack program at Henry Schein in Elmhurst, IL. 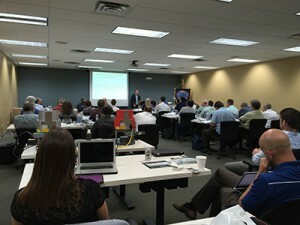 The program started with a review of some of the best technology available today in dentistry. 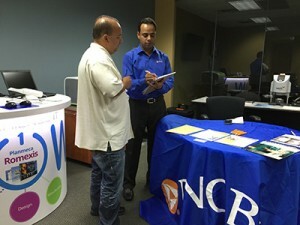 We discussed practice management issues, as well as techniques to help drive business growth. Following an entire morning dedicated to practice management, dental technology, and understanding patients’ needs, we turned our focus to clear aligner therapy. 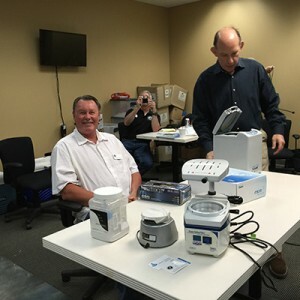 We learned the different methods available for moving teeth using a clear aligner and several commercially available systems were studied. We then planned, designed, and built an an Essix retainer and also a HIT retainer to close diastemas between anterior teeth. 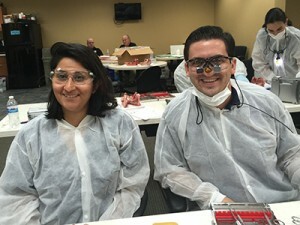 We learned how to make a retainer with a pontic to hide edentulous sites and I used that technique on Monday morning with a patient who had an implant placed in the anterior. We also learned how to create a digital surgical guide for implant placement. Dr. Warshawsky also discussed how to incorporate 3-D printing into our practices and the economics of owning a 3-D printer. This program was designed for general dentists and had a great deal of take home information on orthodontic treatment and techniques even for those dentists who don’t do orthodontics. 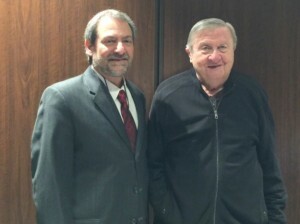 Dr. Neil Warshawsky is a five time graduate of the University of Illinois. Today, he is an associate professor of surgery for the Craniofacial Center at the University, where he oversees the orthodontic clinic. 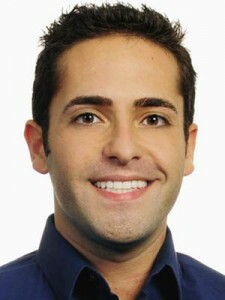 In addition, he owns and operates Get It Straight Orthodontics. The IL AGD would like to thank PNC Bank, Dentsply Raintree Essix, Opal Orthodontics by Ultradent, Hu-Friedy, Propel Orthodontics and Henry Schein for their support of this program. 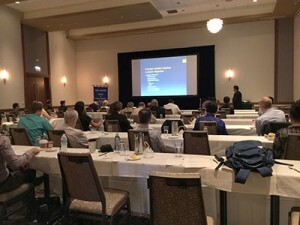 Our second program, “Current Methods in Periodontal Therapy, Including a Periodontist’s View of Implant Dentistry” by Dr. June Lim was held on October 23rd and 24th also at Henry Schein in Elmhurst. The most common treatment for periodontal disease is wait and see and this state of affairs is not without justification. Periodontitis is a chronic disease without a cure and similar to most chronic diseases, early detection and treatment initiation results in better outcomes. We reviewed the current literature and treatment recommendations for periodontal disease and discussed appropriate long term treatment plans to avoid unpredictable procedures. 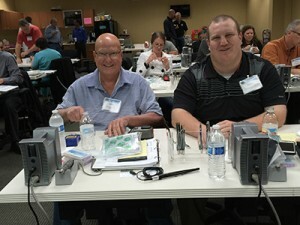 During the course, we discussed appropriate treatment options including dental implants for various degrees of periodontal disease as well as the indications and protocols for socket grafting. Recognition of adequate tissue requirements for implant placement can lead to timely treatment while avoiding difficult and unpredictable procedures and outcomes. 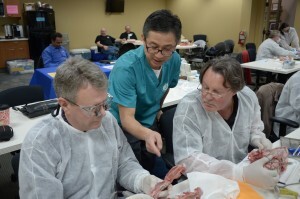 We learned treatment planning and site preparation for implant placement, including a hands-on demonstration. 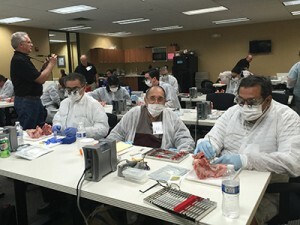 Decellularized dermis grafting, socket grafting and ridge augmentation, and crown lengthening were discussed, demonstrated and practiced on pig jaws. 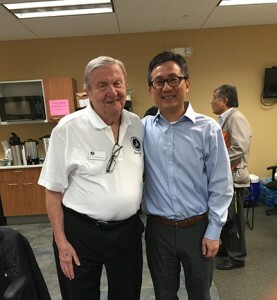 Dr. Jun S. Lim received his D.D.S. from Columbia University and his M.S. 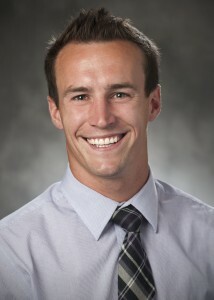 and Certificate in Periodontics from The Ohio State University. 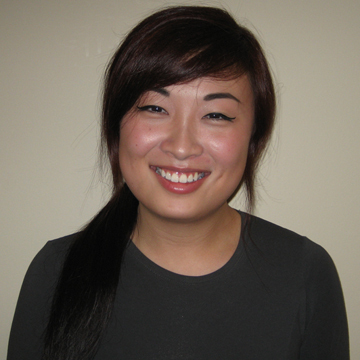 Dr. Lim has been an Assistant Professor at the University of Illinois at Chicago College of Dentistry since 2007. He has had a private practice limited to Periodontics & Implantology in Chicago since 1994. The IL & WI AGD Mastertrack is a volunteer run program and each of our courses offer 16 credit hours of participation CE, and an additional 18 hours of participation CE if a protocol assignment is completed for only $640. 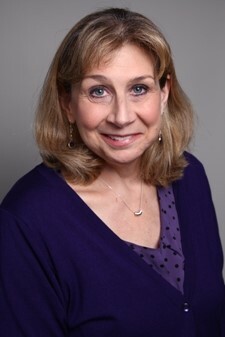 For upcoming courses go to https://ilagd.org/illinois-and-wisconsin-mastertrack/ For more information contact Dr. Sy Wachtenheim at [email protected]. 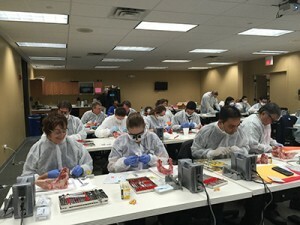 On Wednesday, September 9, in conjunction with the Illinois State Dental Society Annual Session in Wheeling, the Chicago Component of the Academy of General Dentistry hosted a day-long course on “Real World Implant Dentistry.” Dr. Joseph Kim, DDS, JD guided the group of dentists, hygienists and staff (a total of 65 registered attendees) through lessons he has learned during his over thirteen years of implant placement and restoration experience. 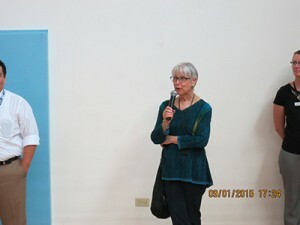 Dr. Kim spoke about all phases of implant therapy. He presented his philosophy on treatment planning, the general principles of implant surgery, his tips for impression taking and some hints for designing and delivering the final implant-supported restorations. 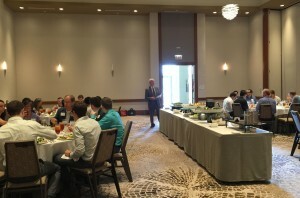 The IL AGD Annual Business meeting took place at lunch. The 2016 IL AGD Officers and Board of Directors were elected and installed. Deb Noordhoff who served as the IL AGD executive secretary for over 15 years was presented with a plaque and flowers by Imm. 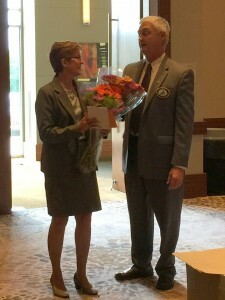 Past President, Dr. Larry Williams for her years of service, loyalty and dedication. 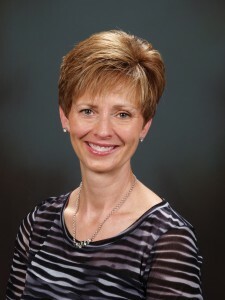 Deb-we will all miss you! The Chicago AGD is thankful for our sponsors who generously supported our lecture. 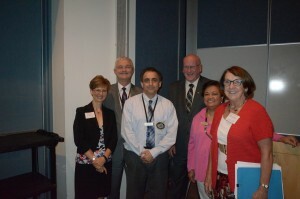 PNC Bank, represented by Jose Prada and Patricia Dewey, provided gold level support. 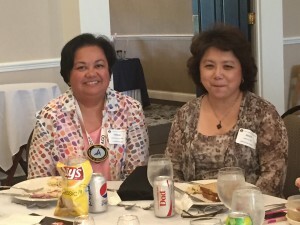 HiOssen, represented by Kasey Choi and Jennifer J. Lee, provided silver level support. Drs. 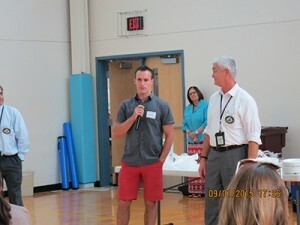 Bob Kozelka and Adam Woll both won $100 check cards in the PNC-sponsored raffle. Dr. Paula Jones won a set of AGD scrubs during the AGD-sponsored raffle. 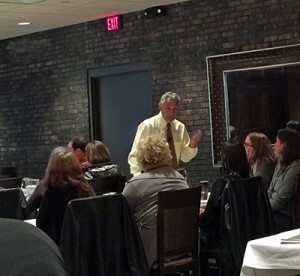 The Northern Illinois Academy of General Dentistry Component presented an excellent program on October 30th at their new location-Giovanni’s in Rockford, IL. Dr. Marvin Berman is an internationally recognized pediatric dentist who has traveled the world lecturing on pediatric and special needs dentistry. 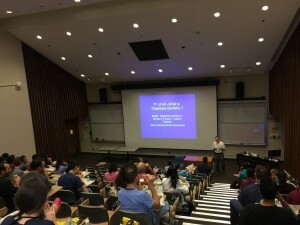 NIAGD’s presentation titled, The Wonderful World of Children…Marvin’s Garden of Tips helped all the doctors and staff who attended gain the confidence to work with reluctant child patients and their parents without sedation or restraints. They gained a better understanding of the dynamics of the parent-child relationship and how that effects the establishment of a child-dentist relationship. By the end of the course, everyone had a broader knowledge of the current methodology for caries prevention and diagnosis, and operative dentistry for children. They understood how to broaden and expand the roles of the dental team to better manage the treatment of young children. The IL AGD is devoted to helping you succeed in your practice. 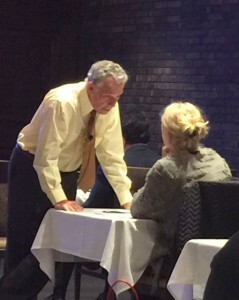 Your patients look to you for knowledge, skill and compassion and the IL AGD offers some of the finest clinical education in the state. 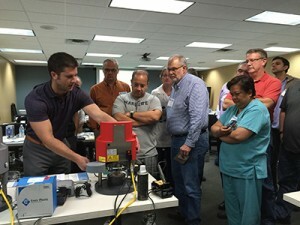 Check out our 2016 continuing education courses at ILAGD.org. We hope to see you soon! The Illinois AGD would like to congratulate Dr. George Zehak, Past President of the IL AGD on being sworn in as the 2016 Chicago Dental Society President on November 15, at the Drake Hotel. 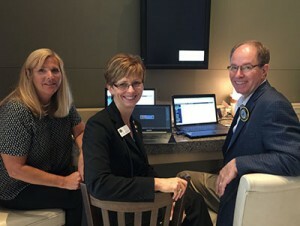 The society, which was established in 1864, has more than 4,000 members in Cook, Lake and DuPage counties, making it the largest local society of the American Dental Association. The Chicago Dental Society, a respected leader in scientific dental meetings, will be hosting its 151th Midwinter Meeting February 25-27, 2016 at the McCormick Place West. 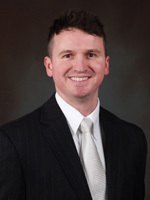 Dr. Zehak graduated from the University of Illinois at Chicago College of Dentistry. He has a Mastership and Life Long Learning Recognition in the Academy of General Dentistry and is also an active Fellow of the Odontographic Society of Chicago, Academy of Dentistry International, American College of Dentists, International College of Dentists, and Pierre Fauchard Academy. 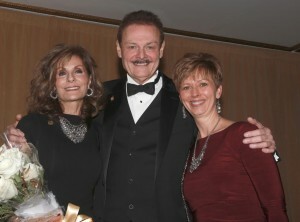 Dr. Zehak resides in Oak Brook with his wife, Maria. They have three children, David, Natalie and Connor. Welcome to the Illinois AGD! Please contact Jaime Petras our IL AGD Executive Secretary at [email protected] if you have any questions or would like to become more involved in IL AGD. Visit our website at ilagd.org for information on our upcoming CE courses and visit our Facebook Page to see what’s going on in IL AGD.